An astrological sign can tell you more than you think about making important life decisions. A person's astrological sign goes much further than the readings in the newspaper or your favorite magazine. Astrological signs can help a person find the right career and understand problems within a relationship. Understanding your sign and talking with an online psychic can help you make important life decisions and have a happy, productive life. Many people don’t think they are in full control of the direction in which their life is heading. Knowing your astrological sign can help you understand your life path and get it on the right track if your current path isn't making you happy. 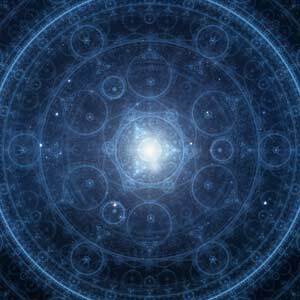 Psychics are especially effective at reading your energy and your astrological sign to help you understand if you’re currently on the right life path. A psychic can also help you see what is in store on your current path and how to handle these situations to ensure your happiness. Each astrological sign has its own characteristics that people under that sign tend to have. Understanding your personality and talents can help you understand what type of career you are best suited for. It can also help you understand what jobs will urge you to work with other signs that are compatible with your personality and work ethic. If you currently have a career you enjoy, getting a reading can help you maximize your success in your career, also developing your talents in specific areas. When it comes to relationships, many people rely on their gut or a spark to decide if it’s a person they want to continue to date or marry. Astrology can help you understand how compatible you are with another person. If you are already in a relationship, knowing your sign and your partner's sign can help you to understand problems that persist in your relationship. Getting an authentic psychic reading done can also help if you’re at a crossroads with a relationship, in order to better understand your compatibility and possible issues within the relationship. It’s not just romantic relationships in which understanding your sign is beneficial. Knowing your sign and other people’s signs can help you understand your friends, family, and coworkers. For example, those who fall under the sign of the Gemini tend to have two sides or different personalities. Understanding those characteristics can help avoid conflict and choose friends that are compatible with your sign. If you work in a business setting that has a lot of communication with other people, understanding your sign and theirs can help you excel in business. For example, if you are a manager hiring other managers, it helps to know that those who fall under the sign of Aries, Sagittarius, and Leo are natural leaders. Understanding other people’s personalities and signs can aid in making better business decisions within your company. Knowing and understanding your sign, as well as people with whom you often interact, can help you understand and strengthen your relationships. It also helps to aid important decisions in your life.